My name is Nang Pe and I live in Ga Naing Nge West village. I have three children and my husband is Khun Lan. We grow cheroot leaves that we use to make cigars. When I was pregnant with my last child, I took prenatal vitamins from our Village Nurse Midwife (VNM), Phyu Thazin Oo. I didn’t plan to deliver my baby with her because I had successfully delivered my first two children with the Traditional Birth Attendant (TBA, an untrained woman who assists at births) from the village. My last birth, when I used the TBA, was really difficult for me. Three hours after the birth, the placenta had not come out and my abdomen was very painful. Then, my baby was very cold and the TBA didn’t cut the umbilical cord. I was very afraid and I thought my baby and I would die. The TBA told me to wait and it would all be OK. Finally, we called for Nang Phyu Thazin Oo who would understand my condition. If Nang Phyu Thazin Oo was not there, I am sure I would have died. Now, I understand very well about health care. I will teach the other women in our village how important it is to use our VNM. 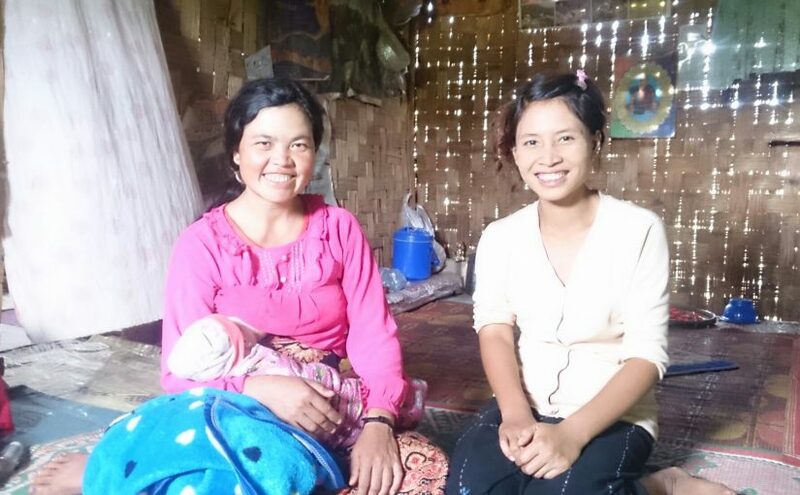 We are really lucky to have a clever and patient nurse midwife for our village. Nang Phyu Thazin Oo works unselfishly and patiently for our village and is trusted by the villagers. Now, it is OK to talk about disease, health care and medicine. If I am ever ill, I will go to her for care. And, after our VNM gives vitamins to the under 5 year’s old children, the children are healthier and stronger than before.